I always feel blessed to be alive in 21st century that I have free access to wider, greater knowledges as well as being able to do what I love to do. I always urge my friends to live life to the fullest and accept any challenges in life in order to achieve what they want, of course this including changing their image, their outlook appearances, they clothing style etc. I believe that if you're confident with yourself, you can achieve anything! I'm very, very well known among my friends as a human chameleon as I change my hair colours according to my mood. I don't even have to wait until it's festive seasons to dye my hair! My friends used to joke that I can use my hair colour to calculate how long since I last met them, and it is true. Hahahahahaha. Some friends whom are super busy might missed 3 - 4 hair colour change of mine lololol. What encourage me to become who I really want to be? A good, responsible hairstylist and a good hair salon location with plenty of parking spaces ( cheap parking fare is a plus). 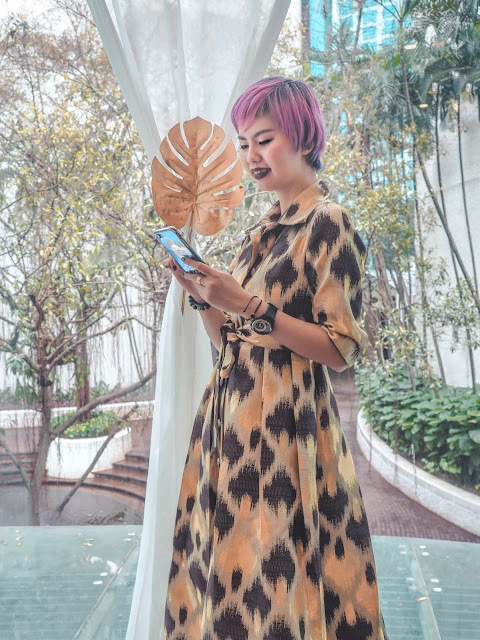 My current always-go-to hair salon will be FIXX which located at Ativo, Bandar Sri Damansara. Seriously I super love this premise because it's easy to access, comes with beautiful parks, good security and parking spaces always available. 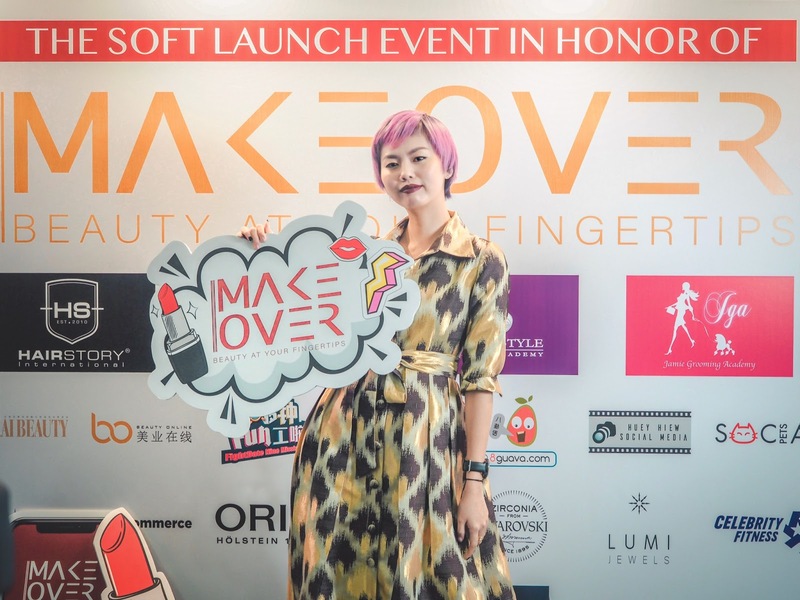 My hairstylist Kok Wai is a super fun, adventurous and responsible hairstylist that make all my hair dreams and goals came true. Hair salon going has been a type of luxury at modern days because we're all too busy, especially for office workers, working from 9am - 5pm, exclude travel time and OT, some people have only so little time left for their own and don't forget they have to give time to friends and family members for bonding purposes. Although we may have a lot of high tech or speedy function machineries helping with our lives but sadly we don't have much time for ourselves. 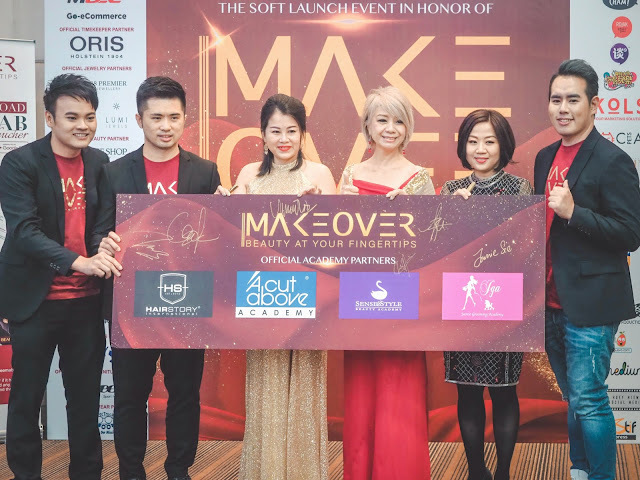 I guess this is what inspired MAKEOVER to start an app for beauty lovers who will love to pamper themselves regardless day or night, weekdays or weekends. 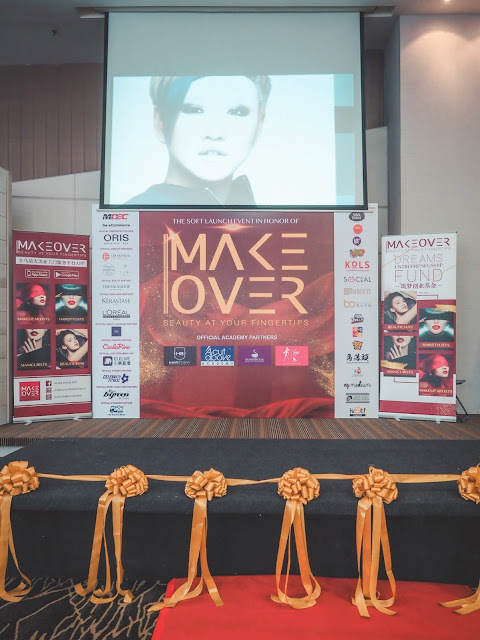 I was one of the first few to attend the soft launch event of Makeover days ago. "So, what is Makeover and what does this app do? How does it benefit me, my time and make me beautiful?" 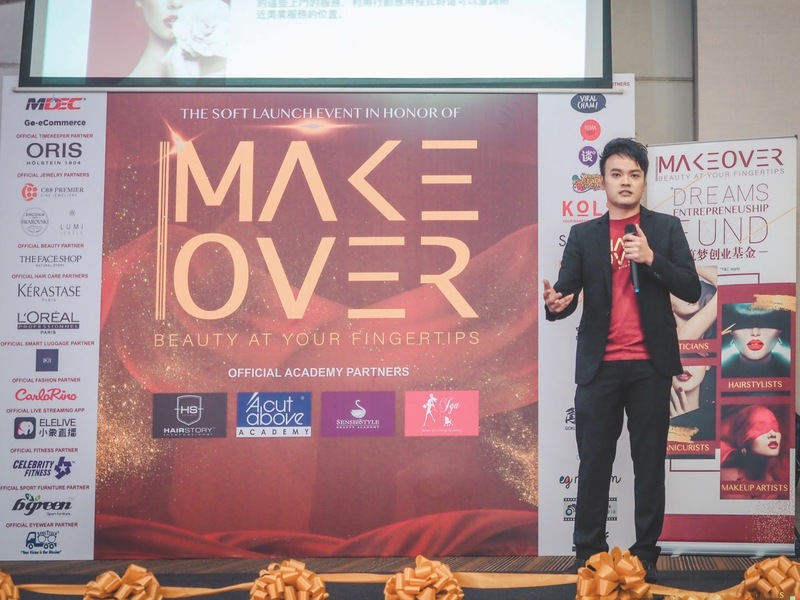 Aim to revolutionize the beauty industry of Malaysia, MAKEOVER app is gonna transform you by just a few clicks. The app is not on AppStore or Google Play yet as it's just a soft launch for now, but I foresee I'll be getting the massage service once the app go live! 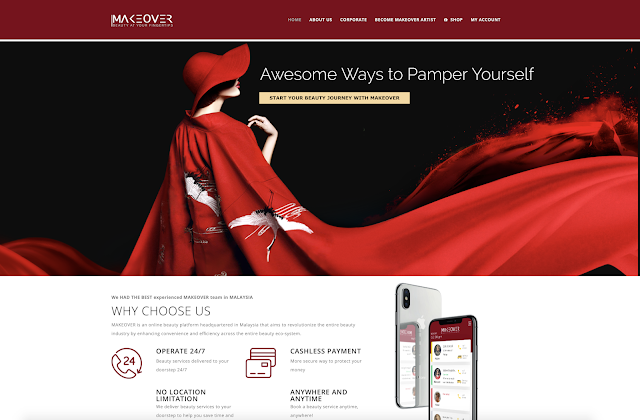 You can do your bookings 24/7 all year round, look for your favourite beautician/makeup artist/hairstylist/pet groomers by just going through their profile, see their works on this platform and also see true feedbacks by customers who engaged their services. Yes, you saw it right, you can book pet grooming services at your convenience and don't have to go through the hassles of dragging your furry friend out the doorstep with leash, cage and whatnot. 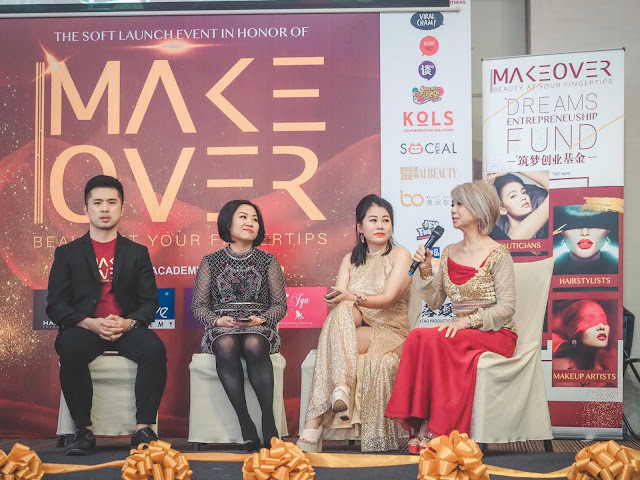 Each and every Makeover artists listed on the platform were screened and go through a strict review conducted by the technical partners which are well known salons and business owners such as A Cut Above Beauty Academy, Sense & Style Beauty Academy etc. Makeover artists will be constantly given trainings to upgrade and improve on their skills from this platform as well. 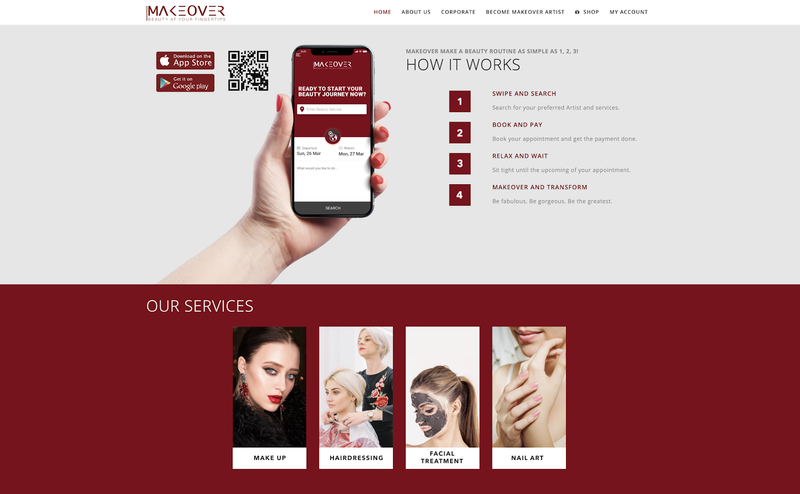 There will be Makeover Stations opening in various locations soon for your convenience if you do not wish to have the services done at your house. Aside from this, Makeover have a dedicated customer service and emergency response team, as well as emergency response button that attend to your emergency situation and provide immediate assist should there be any dissatisfaction or security issues encountered during the services being conduct. Mr. Leon, Mr. Derick, Ms Jamie, Datin Winnie Loo, Ms Yvonne and Mr. Kiro. More and more services will be added to the platform as time goes by and I can't wait to enjoy these new concepts services soon! Thank you Makeover for having me and I hope this app changes the lifestyle of Malaysians with all the convenience and efficiency enhanced! Not to mention imagine all the fuels and time we get to save and use it for other aspects in our lives! Can't wait to download the app! TOTTORI SAND DUNES IS #TOTTORIAWESOME!